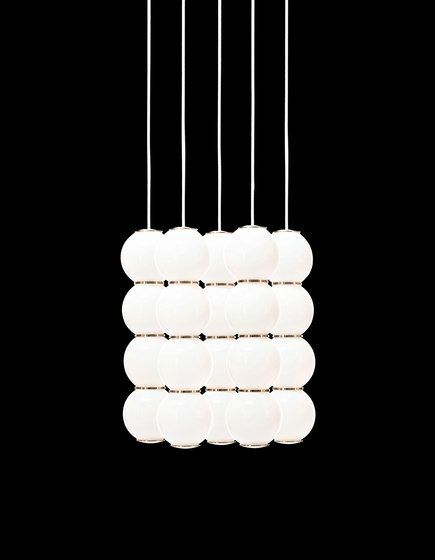 The pendant lamp PEARLS is timeless, elegant and offers countless possibilities. By combining opal glass spheres in two different sizes, various arrangements and shapes arise. If you place multiple versions of PEARLS in one room, the decor is always consistent and never redundant or boring. PEARLS can be arranged in any desired grouping which will provide the perfect lighting for the living room, above the bar, the staircase or an atrium. A guaranteed eye-catcher.